From the street art that transforms local communities and inspires free spirits, to the fashion crossovers that marry luxurious handcrafts to bold manifestoes, the chemistry between street art and millennial culture is becoming a reflexive mirror of our society. Street artists are leading us to coil the complicated daily happenings into an active inquisition towards our inner selves. The Baudelairian flaneurs can be surprised by how the creative individuals today interact with the urban landscape and cast their influence massively. The Street Art and Millennial Culture project will bring together a group of thinkers to this devoted and ongoing research. The research will come in a series of publications, symposiums, and social events. To access researchers portal, please click here. Dr. Teresa Lousa is currently Fine Arts faculty in the University of Lisbon. Lousa gained her Ph.D. in Art and Heritage Sciences and M.A. in Theories of Art at the Faculty of Fine Arts of the University of Lisbon. Her scientific interests are Aesthetics, Theories of Art / Art Sciences, Portuguese and Ibero-American Philosophy and Culture, History of Contemporary Portuguese Art, Street Art, Art Critics, Philosophy of Art. Various articles published in Revista da FBAUL Arte Teoria, na Revista espanhola A Parte Rei e na Online Magazine Casal das Letras. 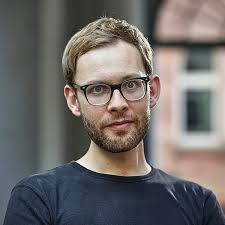 Dr. Ulrich Blanché is a postdoctoral researcher at the University of Heidelberg after he completed his Ph.D. degree of Art History in the Friedrich Alexander University. Blanché received a master degree of Professional Communication in the Western University, and a master degree in Art History, Theatre and Film Sciences in the University Erlangen. His dissertation was on the topic of “The Street Artivist Banksy.” He published three books on Banksy and Street Art. His research focuses on street art, and he believed that street Art consists of self-authorized signs created in the urban space that intentionally seek communication with a larger circle of people. Dr. Ágata SequeiraIs is a senior researcher fellow of Trans_Urb_Arts project, on urban arts – graffiti, street art, and new muralism. Specifically, how urban art has been developing into a specific artworld, and all the implications that derive from that: in terms of urban planning and politics, tourism, the contemporary art world, and its markets, artistic careers. Sequeira earned Ph.D. in sociology from University Institute of Lisbon with the thesis "'The City is the Habitat of Art': Street art and the construction of public space in Lisbon.” She held M.A. and B.A. in Sociology in the same institution, with the thesis on the reception of public art. The main areas of research are sociology and urban ethnography as well as the sociology of art, which is created and displayed in it, the construction of public space and city images, and associative movements and the right to the city. Μargarita Κataga studied art history at the American College, Deree College, Athens, art theory and criticism at City University and approaches to curating at St. Martin's School of Art, London. She held positions as administrator and communications consultant at various cultural institutions such as Tate Gallery, Jerwood Gallery, Barbican Center, the Athens Concert Hall and the Basil and Elise Goulandris Foundation. In 2017 she was assigned editorial coordinator for documenta 14, Athens and Kassel, Germany. Since 2000 she has been organizing exhibitions in galleries and alternative spaces in Athens. Her area of academic study focuses on urban-aesthetic discourses and on issues regarding new materialism on contemporary art. Dr. Andy Zieleniec undertook his ESRC-funded PhD at Glasgow University completing in 2002. He has worked as Associate Lecturer for the Open University in Scotland and taught at Glasgow University, Glasgow Caledonian University, and the Glasgow School of Art before taking up his post as a joint lecturer in Sociology and Geography at Keele University in 2007. Over his time at Keele he has worked as an interdisciplinary lecturer delivering modules and teaching in Geography, Sociology, Criminology, Media, Communications and Culture, Education and American Studies at Undergraduate, Masters and PhD supervision. His interdisciplinary background and experience has led to his current role as Academic Lead and Programme Director for the new Liberal Arts degree programmes launched at Keele and recruiting in 2016. Dr. Lachlan MacDowall is an artist and cultural researcher in the Centre for Cultural Partnerships in the Faculty of the Victorian College of the Arts and Melbourne Conservatorium of Music at the University of Melbourne. His areas of research include the history and aesthetics of graffiti, the creative city, and community-based art-making. He has published widely on graffiti, street art, and urban creativity, including as a contributor to the two book-length studies of Australian graffiti. He is also the Principal Researcher on a 3-year ARC-funded project examining the effective evaluation of community-based arts projects, in partnership with the Australia Council for the Arts and RMIT University in Melbourne, Australia. Ai, Weiwei, and Anthony Pins. Ai Weiwei, Spatial Matters: Art, Architecture, Activism. London: Tate Publishing, 2014. Austin, Joe. Taking the Train How Graffiti Art Became an Urban Crisis in New York City. New York: Columbia University Press, 2001. Bates, Lindsay. Boming, Tagging, Writing: An Analysis of the Significance of Graffiti and Street Art. 2014. Brighenti, Andrea Mubi. "At the Wall: Graffiti Writers, Urban Territoriality, and the Public Domain." Space and Culture 13, no. 3 (2010): 315-32. "British Journal of Aesthetics Volume 54 2014." The British Journal of Aesthetics 55, no. 1 (2015): 131-34. Calle, Román De La. El Arte Necesita De La Palabra. Valencia: Institució Alfonso El Magnànim, Diputació De València, 2008. Chaffee, Lyman G. Political Protest and Street Art: Popular Tools for Democratization in Hispanic Countries. Westport, CT: Greenwood Press, 1993. Dong, Liu, and Mustapha Haruna. "The Practice of Urban Renewal Based on Creative Industry: Experience from the Huangjueping Creative Industries in Chongqing - China." Journal of Sustainable Development 5, no. 5 (2012). Fekner, John. World Atlas of Street Art and Graffiti. Aurum Press, 2017. Ferrell, Jeff. "Graffiti and Tagging." Encyclopedia of Juvenile Justice. Ferrell, Jeff. Crimes of Style: Urban Graffiti and the Politics of Criminality. Boston, Ma: Northeastern Univ. Press, 2004. Fotsch, Paul Mason. Watching the Traffic Go by Transportation and Isolation in Urban America. Austin: University of Texas Press, 2007. Fusaro, Edwige Comoy. "Compte Rendu. Ulrich Blanché, Banksy. Urban Art in a Material World." Cahiers De Narratologie, no. 30 (2016). Ganz, Nicholas. Graffiti World: Street Art Aus Fünf Kontinenten. Berlin: Schwarzkopf & Schwarzkopf, 2005. Geyh, Paula E. "From Cities of Things to Cities of Signs Urban Spaces and Urban Subjects InSister CarrieandManhattan Transfer." Twentieth-Century Literature 52, no. 4 (2006): 413-42. Graffiti and Street Art: Reading, Writing and Representing the City. Abingdon, Oxon: Routledge, 2018. Hundertmark, Christian. The Art of Rebellion: World of Streetart. Corte Madera, CA: Gingko Press, 2003. Hénaff, Marcel, and Tracy B. Strong. Public Space and Democracy. Minneapolis: Univ. of Minnesota Press, 2001. Inge, M. Thomas., and Dennis Hall. Handbook of American Popular Culture. Westport, CT: Greenwood Press, 2002. Kessler, Mark D. "The Licit and Illicit Vandalizing of San Francisco’s Early Garages." Change Over Time 5, no. 1 (2015): 96-118. Kontos, Louis, and David Brotherton. Encyclopedia of Gangs. Westport, CT: Greenwood Press, 2008. Lanctot, Brendan. "Graffiti and the Poetics of Politics in Rosass Argentina (1829-1852)." Hispanic Review 78, no. 1 (2009): 49-70. doi:10.1353/hir.0.0094. Lennon, John. "Assembling a Revolution: Graffiti, Cairo and the Arab Spring." Cultural Studies Review 20, no. 1 (2014). Lewisohn, Cedar, and Henry Chalfant. Street Art: The Graffiti Revolution. London: Tate Publishing, 2009. Manco, Tristan. Street Sketchbook: Inside the Journals of International Street and Graffiti Artists. San Francisco, CA: Chronicle Books, 2007. MATTERN, MARK. ANARCHISM AND ART: Democracy in the Cracks and on the Margins. Place of Publication Not Identified: State UNIV OF NEW YORK PR, 2017. McCormick, Carlo, Marc Schiller, and Sara Schiller. Trespass: Une Histoire De Lart Urbain Illicite. Köln: Taschen, 2015. Miller, Kim, and Brenda Schmahmann. Public Art in South Africa: Bronze Warriors and Plastic Presidents. Bloomington, IN, USA: Indiana University Press, 2017. Muncie, John. Youth and Crime. Los Angeles: SAGE, 2015. Naar, Jon, and Norman Mailer. The Faith of Graffiti. New York: Icon!t, 2009. Nash, George, and Christopher Chippendale. European Landscapes of Rock-art. London: Routledge, 2002. Obrien, Martin. "Book Review: Empire of Scrounge: Inside the Urban Underground of Dumpster Diving, Trash Picking and Street Scavenging." Theoretical Criminology 11, no. 1 (2007): 133-37. Peden, Alexander J. The Graffiti of Pharaonic Egypt: Scope and Roles of Informal Writings, C. 3100-332 B.C. Leiden: Brill, 2001. Phillips, Susan A. Wallbangin: Graffiti and Gangs in L.A. Chicago: Univ. of Chicago Press, 2002. Potter, Patrick, and Gary Shove. Untitled: Street Art in the Counter Culture. Darlington: Pro-Actif Communications, 2011. Rahn, Janice. Painting without Permission Hip-hop Graffiti Subculture. Westport, CT: Bergin & Garvey, 2002. Sanders, Bill. "Youth Crime and Youth Culture in the Inner City." 2004. Toenjes, Ashley, and Kam Shapiro. This Wall Speaks: Graffiti and the Location of Transnational Space in Palestine. Normal, IL: Illinois State University, 2014. Vanderwood, Paul J., and Lyman G. Chaffee. "Political Protest and Street Art: Popular Tools for Democratization in Hispanic Countries." The Hispanic American Historical Review 74, no. 4 (1994): 695. Young, Alison. "Judging the Image." 2004. Young, Alison. Street Art, Public City: Law, Crime and the Urban Imagination. Abingdon, Oxon: Routledge, 2014. “The Lisbon Street Art & Urban Creativity International Conference”, 2014, University of Lisbon. “Creating the Urban with Art, Humboldt-Universität zu Berlin”, 2016. “Bienal Internacional de Muralismo y Arte Público - (MULI)” Cali, Colombia. May 18th - July 31st, 2018. “Under Pressure, Montreal”, August 8-12, Convention Internationale de Culture Urbain. “Latin American Graffiti Festival”, San José, Costa Rica. March 9-11, 2017. “Festival Inspire”, Moncton, Canada July 9-14. “Nuart Festival: Space is the Place”, Stavanger, Norway. 9-30 September 2018. Digital Graffiti, May 17-18, 2019. Alys Beach. La I y II Exposición Internacional de Escultura en la Calle en Tenerife, Canarias, España. O Marisquiño - Urban Art Festival, Galicia, Spain. Unlock Book Fair is an international gathering of publishers, authors and aficionados. From 2016 till now, Unlock Book Fair has brought a selection of international publishers and artist to Amsterdam, Moscow, Lisbon, Barcelona, Berlin, Besançon, Herne, and several offshoot events in different European cities. Anarchist - Book Fair, in the Bay Area, San Francisco and Brooklyn, New York. Anarchist Book Fair is a group of anarchist that although not directly linked to street art, believe that street art will lead to social change as a form of expression. Carnage - A Brooklyn Based art store and bookshop that focuses on street art culture. Carnage was founded with the goal of documenting and preserving the best graffiti in NYC and around the world. Carnage zine and book collaborations give artists the opportunity to showcase their work in and off the street in new and unique ways. Style Wars is an American 1983 documentary film on hip hop culture and its American roots, directed by Tony Silver and produced in collaboration with Henry Chalfant. The film has an emphasis on graffiti, although bboying and rapping are covered to a lesser extent. The documentary captures and includes many historical moments of hip hop culture during its earliest days in the 1970s onward towards the early 1980s. Wild Style is an American 1983 hip hop film produced by Charlie Ahearn. Released theatrically in September 1982 by First Run Features and later re-released for home video by Rhino Home Video, it is regarded as the first hip hop motion picture. The film included seminal figures within the given period, such as Fab Five Freddy, Lee Quiñones, Lady Pink, The Rock Steady Crew, The Cold Crush Brothers, Queen Lisa Lee of Zulu Nation, Grandmaster Flash and Zephyr. Beat Street is a 1984 American drama dance film featuring New York City hip hop culture of the early 1980s, breakdancing, DJing, and graffiti. It explores the rise of street art post-dictatorship in Chile, the need for expression, and the role of indigenous art in the scene. A documentary that mixes the nostalgia from the 90’s with the “under” artistic scene in New York. It talks about emerging artist of the time like: Shepard Fairey, Mark Gonzalez, and Harmony Korine. Documentary by Longa Metragem - explores the rise of the 80’s form of city markings that are almost cryptic. Very different from the modern day definition of graffiti - the pixos are part of the poor troubled youth of Sao Paulo rebelling against the disproportionate distribution of wealth i their city. A Film by Christian Fischer, produced by Rabbit Eye Movement, The film centers in art, lifestyle, and subculture of the Rabbit Eye Movement. The documentary shows from various angles and captures the mutual passion for Urban Art in an unique way. British documentary film, directed by street artist Banksy. It tells the story of Thierry Guetta, a French immigrant in Los Angeles, and his obsession with street art. This documentary, filmed by Jon Reiss in cities such as New York, London, Cape Town, Paris, Amsterdam, Tokyo, Berlin and São Paulo, looks back at the origins of graffiti in different parts of the world. In 2010 a second part of this documentary was premiered, in which other regions of Asia, the Middle East, Europe, the United States and Australia are explored. One only has to take a look at the panorama of international urban art to realize that female participation is rather scarce. Girl Power, a documentary film recorded and directed by an urban artist of Czech origin, shows the role of women in graffiti. Directed by Julian Schnabel - This film summarizes the biography of Jean-Michel Basquiat and his rise to fame. From being a vagabond graffiti artist he became a renowned painter whom Andy Warhol admired. Unlike most titles on this list, Whole Train is a fiction movie. The German-Polish production tells the story of a group of friends and urban artists focusing on their code of honor and their disagreements with the rival group, against whom they wage a real creative battle. Directed by Adam Leon - Malcolm and Sofia are the most determined teenage graffiti-writers in the Bronx. But when a rival gang buffs their latest masterpiece, they hatch a plan to get their revenge by planning the ultimate graffiti tag – to “bomb” the Mets’ home run apple. Doug Pray, the director of Infamy, follows Claw, Earsnot, Enem, Jase, Saber and Toomer, six urban artists in their day to day, to know aspects of his life as graffiti artists and outside of that environment. In contrast to them is Joe Connolly, "The Graffiti Guerrilla", whose main concern is to clean the neighborhood of graffiti. Explores the Latin American Street art culture in Peru. Peruvian Entes and Pésimo decided to summon their Latin American peers, with whom they shared festivals around the world, to fulfill the dream of making in their own region the first meeting of urban art: Latir Latino.